Design is a practical, self-correcting, problem-solving process. This perhaps explains why many businesses have woken up to ‘design thinking’ as a way to solve intractable, strategic problems. 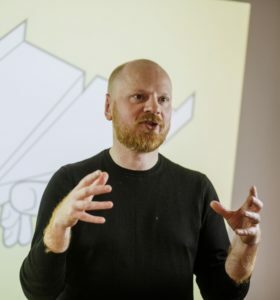 Award-winning designer, Paul-Jervis Heath, shares his experience of applying design in libraries and focusing library strategy on the genuine needs of users through the design process. Paul-Jervis Heath is the founding principal of Modern Human, a design practice and innovation consultancy that helps clients to imagine what’s next. At Modern Human, he inspires design teams to create truly meaningful products, services and experiences that enrich the human experience by empowering and liberating those who use them. He takes clients into the lives of real people to uncover their latent needs in order to re-imagine and reinvent modern life. Over more than 20 years he has worked on a diverse portfolio of projects including dashboards for autonomous vehicles, smart home appliances, intelligent environments, digitally integrated retail store concepts, and academic library services of the near future. From the leader’s perspective, Ms. Stephens looks at the complex role of assessment as a resource and instrument for change in the university library. Organization, operational, human, and institutional contexts of pursuing diversity, equity and inclusion (DEI) as the desired characteristics of life on campus present points for leveraging assessment as something much more than a means of measurement. It should also be a means in obtaining insight and understanding of the complex realities—even conflicts—we must strategically manage. Libraries (and their host institutions) must practice a sophisticated and clear-eyed understanding of how assessment programming can reveal both opportunity and the hard work of creating sustained progress toward the diverse and high performing environment so widely desired. Denise joined Washington University in July 2017 as vice provost and university librarian. At Washington University, she leads the eight Danforth and West Campus libraries of the University Libraries System; facilitates strategic partnership and operational collaborations with the University’s Medical Campus library; and serves institutional planning and development as a member of the Chancellor’s University Council. 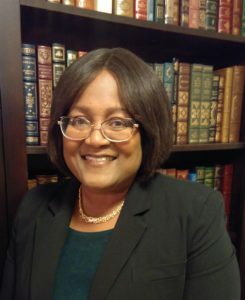 She has held many roles in the research university library setting, including subject librarian, program and unit management, digital library services, program design, technology management, and contributed 20 years of senior management and administrative leadership. Prior to her arrival at Washington University, she served as university librarian, as well as interim chief information officer, at the University of California, Santa Barbara, as well as service to University of Virginia, the University of Kansas (as vice provost and chief information officer), and Syracuse University. She received her MLS from the University of Oklahoma. Denise has served on committees and boards of several organizations promoting diversity, information access, services innovation, leader development, shared investment, and information preservation (including the Association of Research Libraries; Digital Public Library of America; the Greater Western Library Association; Bio-One Publishers and Partners; the Federal Depository Library Council, and Mobius). Her interests are strongly associated with the evolving information organization: leader behavior, strategy, organizational development, and change management. She also published and presented on these topics in the context of rapidly-evolving academic library organizations.